V-TOL has been approved by CASA and RAAF Amberley to operate BVLOS up to 2,000 ft AMSL. The purpose of this approval is to enable V-TOL & technology partner NearSat to collect scientific test data for modelling high altitude operations. A V-TOL EagleHawk Fixed Wing HALE prototype is currently being used for this data collection process. With over 2,600km of RPAS operations at or above 1000ft AMSL over Tongatapu under Part 102 regulations, V-TOL has now achieved under Part 101, CASA & RAAF (Royal Australian Air Force) approval for day and night BVLOS operations above 400ft AGL in RAAF controlled airspace at Marburg, Australia. “V-TOL will use this opportunity to further industry’s move towards demonstrating safe advanced RPAS operations in the Australian National Airspace on a regular basis”, says V-TOL CEO Mark Xavier. The World Bank and V-TOL Aerospace are using drones to support the government of Tonga in its Rapid Damage Assessment after Cyclone Gita. A fleet of V-TOL Aerospace’s drones, Unmanned Aerial Vehicles, has been transported to Tonga with the support of the Australian government. The Pacific regional representative for the World Bank, Michel Kerf, said the drones were being used to map the damage wreaked by Gita. According to him, the mapping will be crucial to helping Tonga’s government determine priority areas for recovery and reconstruction. 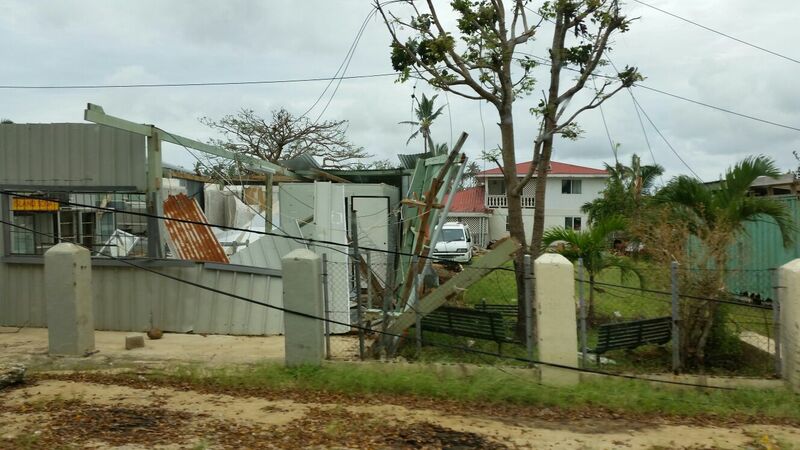 Tonga has received a payout of more than US$3.5 mill from the Pacific Catastrophe Risk Insurance Company. It is the first payout made by the region’s first catastrophe risk insurance platform established in 2016. The company falls under the Pacific Catastrophe Risk Assessment and Financing Initiative which is a joint effort of the World Bank, the Asian Development and the Pacific Community with the financial support from Germany, Japan, the United Kingdom and the United States of America. As well as the World Bank, governments of Australia and New Zealand, the ADB, the Japan International Cooperation Agency, European Union and United Nations Development Programme are helping Tongan authorities to identify priority sectors for the rapid damage assessment. These sectors include housing, agriculture and energy. The World Bank, together with partners including V-TOL Aerospace (UAV Services provider), the governments of Australia and New Zealand, the Asian Development Bank, Japan International Cooperation Agency, European Union and United Nations Development Programme, is now working alongside Tongan authorities to identify priority sectors for the rapid damage assessment, which include housing, agriculture and energy. Working with Hitachi on an MLA beef project, V-TOL Aerospace conducted an endurance flight in central QLD of a standard V-TOL GosHawk II Fixed Wing RPAS. The aim was to establish how far a V-TOL manufactured small RPA could fly. Operating at the edge of Day VLOS in light conditions at 400ft AGL, the GosHawk covered 151km in 2.35 hours. It is estimated that if the GosHawk had been permitted to operate beyond its reserve, it could have achieved a distance of up to 170km. “The V-TOL GosHawk II is a small (< 4kg) RPA, but has demonstrated it can fly a significant distance. Capable of being fitted with ADS-B and other UTM sense & avoid devices, it is capable of over the horizon BVLOS day & night operations. The GosHawk is the type of small hi-tech technology package that can deliver the commercial productivity gains required across Australia’s core industries,” said Mark Xavier CEO & Chief Pilot of V-TOL. Working with uAvIonix, V-TOL Aerospace has successfully conducted ADS-B BVLOS flight operations in YAMB RAAF Airspace using a Ping20s. A V-TOL GosHawk II Fixed Wing RPAS was used and is seen as registration GOH009. Operating independently of V-TOL NEURON, both data feeds from the Ping & NEURON produced identical flight tracks in real-time. “We hope that on-going trials & demonstrations like this will progress the professional end of the industry in this country,” said Mark Xavier Chief Pilot of V-TOL. Working closely with the World Bank Project Team, Pacific Air Services Organisation, Civil Aviation Department Tonga, & Civil Aviation Authority Fiji, V-TOL Aerospace has successfully completed the Five (5) comprehensive RPAS Flight Operation Activities & Data Processing jobs for UAV4Resiliance. Additional work was also conducted for the Government of Tonga, at the request of the Nation’s PM. 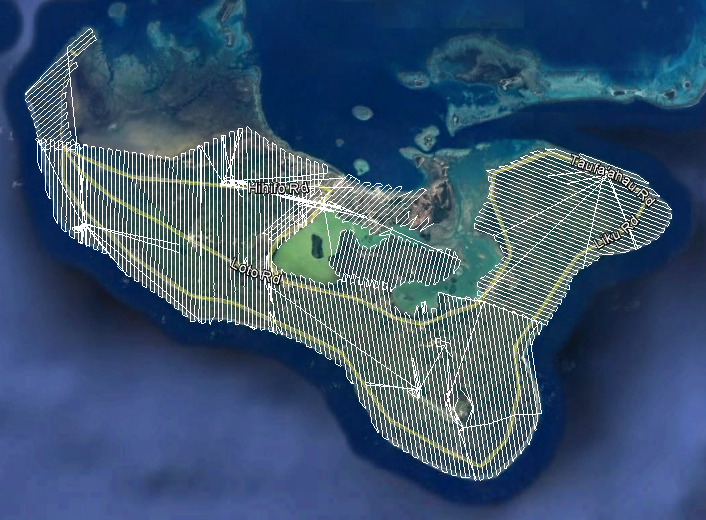 The enclosed map of the main Island of Nuku’alofa shows where many of V-TOL aircraft operations occurred during the Tongan program. 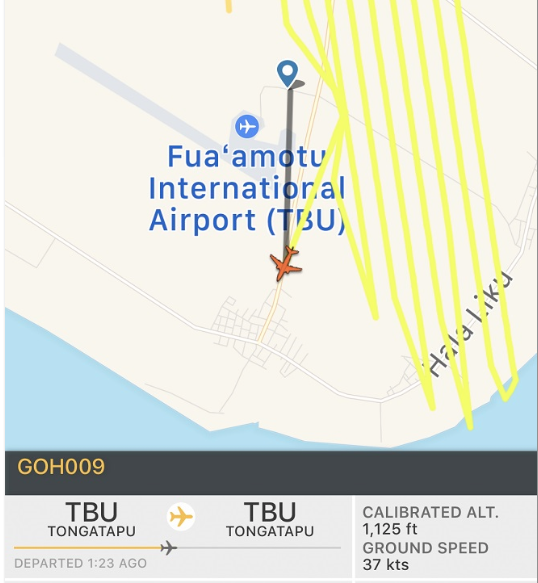 Each aircraft ‘icon’ indicates where a V-TOL Aircraft became active and or launched into the Tongan National Airspace. 1000s of km were flown during the BVLOS > 1000ft AGL operations including inter Island activities. V-TOL & the World Bank Project Team will now spend the next several months developing activity reports preparing for workshops that will result from the findings and recommendations of the in-field work. “The aim was to test how safely, rapidly and effectively a fly-in emergency RPAS response team can conduct large area hi-res surveys of Islands hit by a natural disaster,” says Mark Xavier CEO of V-TOL. “I believe the aims of the activities were achieved. We look forward to investigating how similar advanced RPAS operations can occur routinely in the Australian National Airspace where significant productivity gains can be made in our ‘core’ economic industries,” he continued. The Australian Unmanned Systems Academy (AUSA), the Education & Training Arm of V-TOL Aerospace, has achieved its Australian Registered Training Organisation (RTO) number 45260. AUSA designated as RTO 45260, will now commence delivering & developing Certificate level courses in addition to its CASA Approved Remote Pilot License (RePL) courses to advance and enhance the career pathways for those wishing to enter the rapidly emerging global robotics & automation industry.